1 x 750ml Ready to use Alcohol based for a sparkling streak free finish. Biodegradable and ammonia free, this cleaner will remove marks, stains, atmospheric grime, insect debris, nicotine and smoke haze. Also suitable for use on Stainless Steel. Foaming Trigger Ready to use 1 x 750 ML This foaming trigger action spray allows the liquid cleaner to cling to vertical surfaces, allowing the product to clean for longer. Contains citric acid. 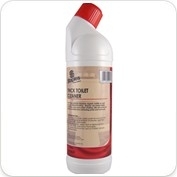 Thick Toilet Cleaner 1 x 1 Litre The thickening properties in this apple fragranced toilet cleaner allow a longer lasting cleaning action. This toilet cleaner dissolves organic matter and limescale. Can also be used as a washroom and tile cleaner.
. 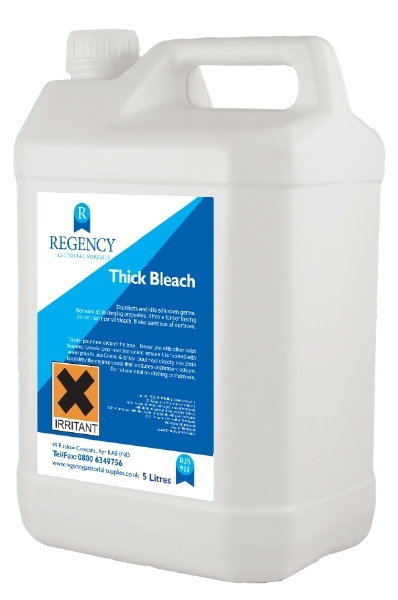 Thick Bleach 1 x 5 Litres Thixotropic The thixotropic clinging action allows the properties in this bleach to cling to surfaces for longer. 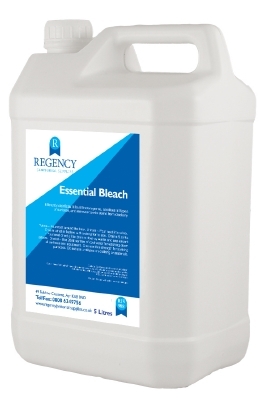 Essential Bleach offers a standard strength to disinfect, sanitise and kill germs. Blue Toilet Freshener 1 x 1 Litre Floral Fragrance Disinfects and re-atomises. A thickened formula to allow a longer lasting cleaning action.